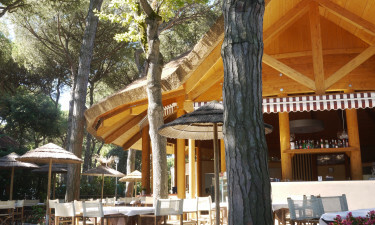 The perfect seaside holiday is waiting for lovers of luxury camping at Camping Mare e Pineta. 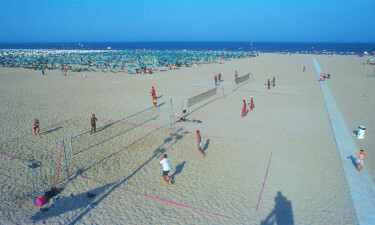 A pretty sandy beach can be found right on the edge of this campsite, while guests are invited to take part in a wide range of activities both at the beach and on the site itself. 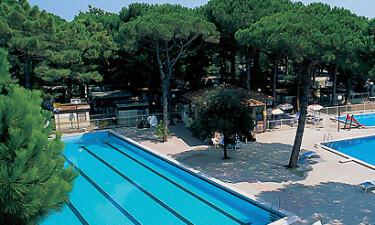 Situated on the picturesque Adriatic Riviera, Camping Mare e Pineta serves as a great place to use as a base while getting to know this enchanting part of Italy. Guests are provided with several private pools to make use of during their camping holiday. Water aerobics and other activities are regularly held at the largest pool, while there is a wading pool for the little ones. As the site boasts private beach access, guests at Camping Mare Pineta are likely to want to spend much of their stay either spread out on the sand or messing about in the water. Kayaking is a great way to explore the area in style, while beach volleyball provides a good opportunity for guests to get together. Book with LuxCamp today.